We’re looking for individuals that share our core values. COLLABORATION – We believe that an open dialogue between all members of a group helps to produce more reasoned and intelligent decisions. ENTHUSIASM – We recognize the unique power of people who are passionate about their craft. 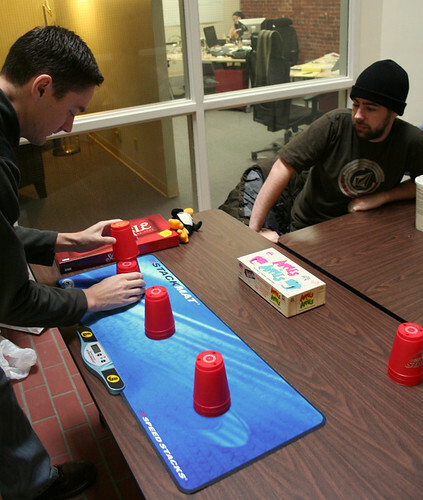 We believe that fun is an essential ingredient in a collaborative and vibrant company culture. We think happy people make better software. COMMUNITY – We are part of many communities. Our neighborhoods, our cities, our workplace, and our professional communities. We give back to our communities by implementing socially responsible business practices and sharing our knowledge and tools with our peers. VERSATILITY – We believe that it is important for our team to be open and flexible, as well as the work that we do. This allows us to adapt to change and encourage innovation. EXECUTION – We value action and when people make things happen. It is important that we follow through on our commitments, plans, and ideas. ..maybe you’re a .NET/Java/PHP/Python developer (who secretly plays with Ruby on Rails at night/weekends). We’re looking for an intermediate-level Rails developer to join our team. Ideal candidates would be in the Portland, Oregon area or willing to relocate. If you’re interested, take a moment and introduce yourself. PLANET ARGON is seeking fresh talent... could it be you? My blog has been fairly quiet lately because our team has been busy helping push a few big client projects out the door. 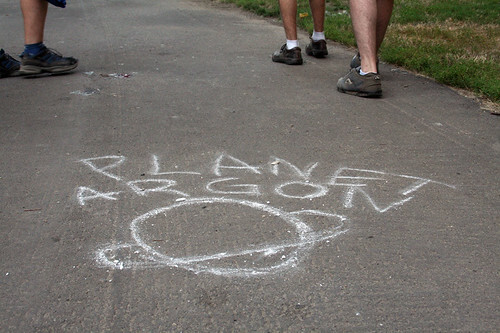 We’ll be posting announcements about those launches on the PLANET ARGON Blog soon, so stay-tuned there! We’ve been growing the design-side of our team lately, but we’re also still seeking some more Rails-talent in Portland, OR. 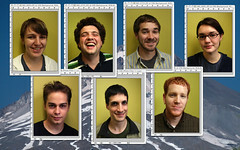 If you’re in Portland or interested in moving here1, you should introduce yourself to our team. We’re looking for people to work on-site in Portland, so any remote candidates will be turned away… we’re moving into a shiny and new office space in downtown and are looking for another developer to join our Design and Development team. We’re seeking mid-level Ruby on Rails developers that can pick things up quickly. Having some experience with RSpec will go along way with us. Ideal candidates would have great communication skills and be able to work in a fast-paced environment that places a huge emphasis on collaboration between designers and developers (let’s not forget to mention our clients). Bring what you already know and learn the rest with us. Side note: We’re giving Catch the Best a whirl to review job candidates. If you’re hiring people, you might consider giving it a try. This decision was even easier for me when Nathaniel Talbot invited me to be part of his proposal for a panel of people that are running companies that specialize with Ruby on Rails. I liked the idea and the other people that were invited were all people that I greatly admired and respected… so I said yes. After all, so much of my time and energy goes into this stuff and there isn’t any doubt that I spend way more time on the business side of Rails… than in code these days. I just got an email from Nathaniel to let me know that his proposal was accepted. So, if you’ll be at RailsConf 2007 (US), come see me on The Business of Rails panel session. The following people are planned to be on the panel. Moderator: Nathaniel Talbott, Terralien Inc.
One of the coolest parts about my job (aside working with cool people everyday)... is getting a say in where we spend some of our money as a company. One of the things that Allison and I decided that we really wanted to do as a company was encourage sustainable business and growth in our local community. Everyone here loves Portland, Oregon. This screenshot was taken after we took headshots for our transportation passes. 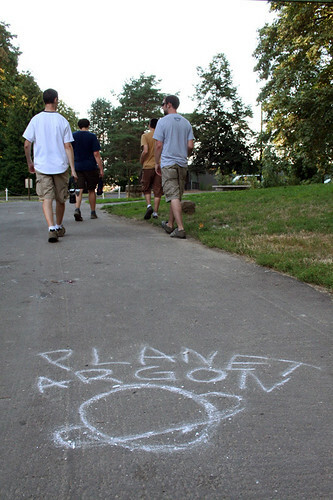 Nicole has posted an article, which introduces people to some of the great tax credits that small businesses like PLANET ARGON can take advantage of… in particular how we are now taking advantage of a tax credit for public transportation, bike storage, carpool programs, and more. If you’re a customer of ours or are running a small business… you might consider subscribing to her feed. Hello, my name is Robby Russell. This blog was started back in March of 2005, a few months after I joined the Ruby on Rails community. Most of the technical content on this site is based on earlier versions...so be gentle on me if the solutions don't work as efficiently as they did a decade ago. These days, I spend my time working on Oh My Zsh and running Planet Argon, a web design and development agency based in Portland, Oregon USA. If you're looking for help with your project, drop us a line.